Posted on March 18th, 2011 at 10:28 am. Posted on February 18th, 2011 at 9:21 am. 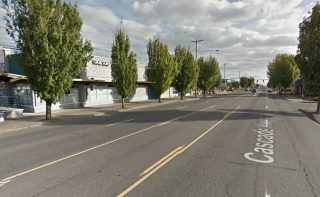 The great news we reported last month is now official: The Portland Bureau of Transportation (PBOT) announced yesterday that they’ve received $2.96 million from the Oregon Department of Transportation (ODOT) for two projects that will vastly improve biking and walking conditions in North and East Portland. 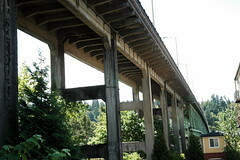 The Portland projects are two out of 27 that the Oregon Transportation Commission (OTC) has decided to fund from a $20 million pot of federal “flexible funds” set aside specifically for non-highway projects. 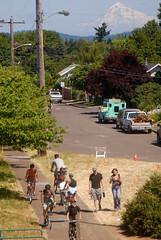 PBOT has received $2,090,372 for the Going to the River project and $870,000 for a project on SE 122nd Avenue. Posted on January 31st, 2011 at 11:23 am. New logo and wooden sign. Posted on January 18th, 2011 at 2:56 pm. 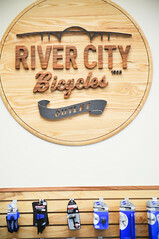 will soon be the River City Bicycles Outlet store. 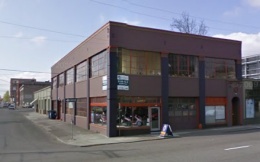 River City Bicycles has purchased a new, 5,000 square foot building that will soon become a new outlet store selling discounted bikes and clothing just a few blocks from their existing location. 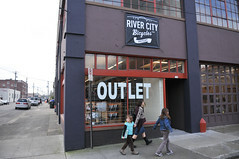 The River City Bicycles Outlet is set to open for business in the next few weeks at 534 SE Belmont (the southwest corner of 6th and Belmont). Posted on December 17th, 2010 at 4:58 pm. 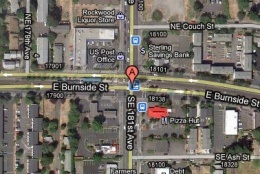 At about 2:20 this afternoon, a woman attempting to cross E Burnside on SE 181st Avenue was hit by a MAX train. 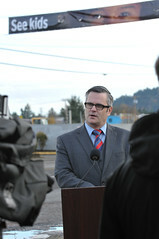 The woman remained conscious at the scene and sustained non life-threatening injuries (a possible broken leg). Posted on November 26th, 2010 at 11:03 am. Posted on November 19th, 2010 at 10:50 am. Posted on August 16th, 2010 at 2:17 pm. 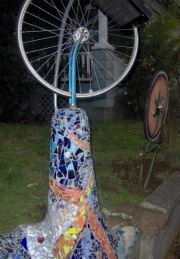 at SE 37th and Taylor. 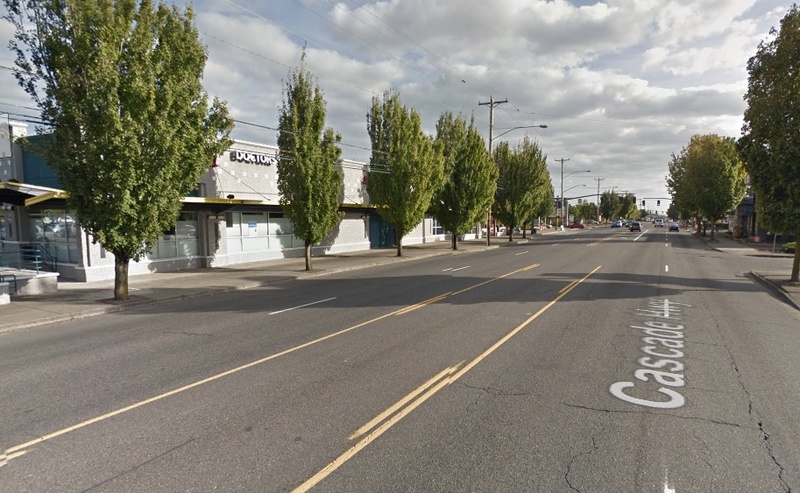 Matt Schekel was 27 years old when he was struck and killed while riding his bike by someone operating a produce truck who ran a stop sign at SE 37th and Taylor. The year was 1997. This Thursday, August 19th, Schekel would have turned 40 and a Portland woman has planned a ride to remember him. In a search of The Oregonian archives I only find an obituary listing for Matt, which describes him as having been a bicycle messenger downtown. He also worked in the a/v department of Wieden + Kennedy and was a student at Portland Film Institute.